All the colors of the rainbow in 7 varying shapes make this threading game a veritable infinity of possibilities. 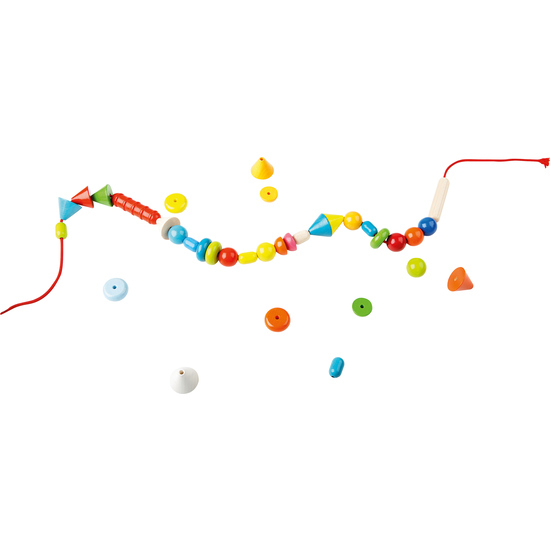 Children can sort the beads, make rows or thread colorful combinations. The threading game can be easily taken along, providing fun wherever you may be. Contents: 66 beads in 7 shapes, 2 threads.